Lawman MX is closed this weekend August 28th-29th for major renovations. Jody and Charles had Eddie Gentry out yesterday and the track got a total redesign. I think only a couple of jumps remain the same. The track has been widened out and completely reconfigured. They are hoping to have everything opened back up next weekend. 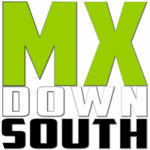 Check for updates at Lawman MX.